The information we include with our patterns may be less detailed than what you are accustomed to, but they should provide enough information for an intermediate sewer or an adventurous beginner to complete the garment. In this post we’ll show you where to locate the most important elements and use the layered PDF functionality. Next is the cutters must. It summarizes how many of each pattern pieces you need to cut in each fabric (self, lining, fusible, etc.). As well as other pieces for which paper pieces are not provided, such as bias strips. It also includes the technical drawing of the garment and an estimation of fabric requirements. We currently do not include cutting layouts because of how much they can vary depending on the size you are cutting and the width of your fabric. The following table is a suggested order of operations. This is the order we used to sew the samples shown on the cover. But if you are making changes to the pattern, for instance you decided to make the pattern single layer and finish the edges with bias binding, then this operations will be quite different. The table is designed for you to check at a glance the width of the seam allowances and the type of seams so that you don’t have to rummage through pages of text to find it. In case you need more help, links to tutorials, videos, etc. are available in the resource page of each pattern. Finally, you’ll find the hashtags to share your work on social media. For the slip dress it’s #christyslipdress and for the camisole it’s #katebiastop (there is another Kate Top sewing pattern out there by Tessuti, so don’t forget to add the bias!). Now let’s have a look at the pattern files! The layers are enabled in every printing format. When you open your pattern in the Adobe Acrobat Reader, use the layers tab on the left of the screen and select only the size you need but keep “print marks” and “all sizes” activated. As you can see above, the pattern pieces extend beyond the cutting marks. This should make it extra easy for you to put it together. You will also notice that the seam lines are printed on all pieces. Because our seam allowances vary with the type of seams, they are printed on all pieces, for every size. This is why we strongly recommend you use the layer function. Otherwise it can get quite busy, even for a simple pattern. 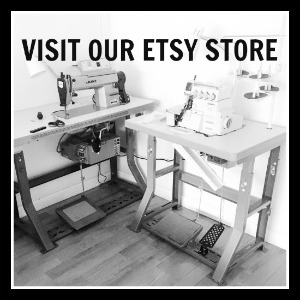 We hope that this post was useful and we will be back soon for some actual sewing posts! Don’t hesitate to reach out in the comments or anywhere else if you would like more information! Do you see a Christy or a Kate in your near future?